A child leaves his home to play soccer in the streets with friends and, despite the armed masked men roaming the city, is able to enjoy himself for a time. Leaving the daily executions to the square, the boy's game becomes heated. In a moment of frustration, he utters a few words he heard somewhere before. He may not understand what they mean, but their meaning is clear. He swears during the innocent game of soccer then continues to play, ignorant of his bloody fate. A 7-year-old boy was executed for swearing while playing soccer with friends (Paul Roedding Photography). LOS ANGELES, CA (Catholic Online) - According to a human right activist in Raqqa, Syria, the boy known as Muaz Hassan was playing soccer with his friends on Monday, when he swore. An Islamic militant walking by heard him and reported the incident to Daesh police, who later arrested the boy for "cursing divinity." The source explained, "The act was considered an insult to the Caliphate, regardless of the age of the boy." Hassan was taken before a group of Jihads, who unanimously found him "guilty" of "infidelity" and sentenced him to death. 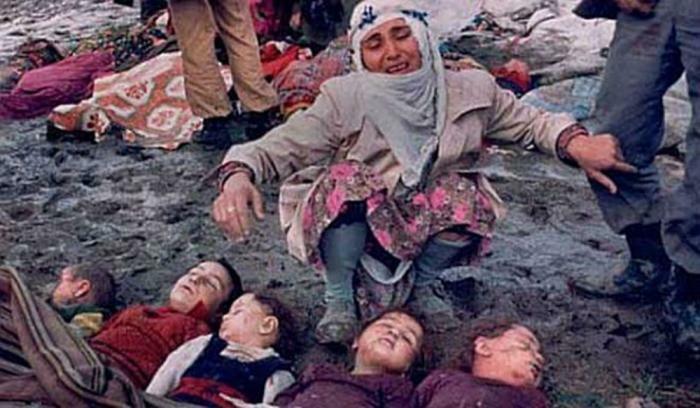 It is certainly not the first time ISIS has executed children (Pinterest). The frightened boy was executed where the blood of hundreds of victims had stained the drains blood-red before - in a public square. Hassan stood before hundreds of the city's population, including his parents, when he was shot dead. His grieving parents collapsed at the sound of the gunshot, one witness told ARA News. Though thousands have been publicly executed, this instance is the first reported case of extremists executing a child for violating Islamic Law. The California Network is the Next Wave in delivery of information and entertainment on pop culture, social trends, lifestyle, entertainment, news, politics and economics. We are hyper-focused on one audience, YOU, the connected generation. JOIN US AS WE REDEFINE AND REVOLUTIONIZE THE EVER-CHANGING MEDIA LANDSCAPE.